With the growth of the financial services industry in Malta, our island can be considered as an international financial services centre especially within the insurance, investment, corporate banking, asset management, funds and trusts areas. Malta is now embracing new opportunities arising from the digital transformation we have seen in recent years such as fintech, blockchain, crypto-assets and other means of distributed ledger technology. 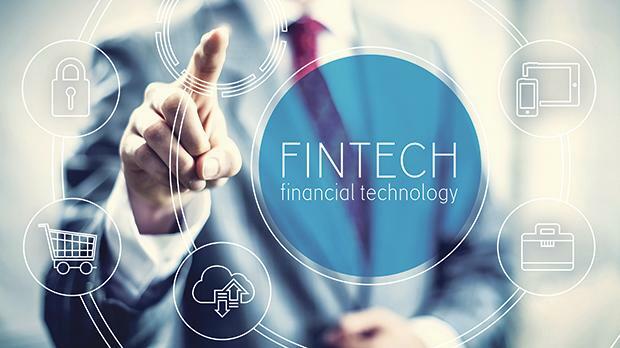 The focus on innovation has led to an increased growth within the financial services sector. Blockchain, cryptocurrencies and opportunities for the Maltese banking industry, in the same sentence, may seem far-fetched, ludicrous and potentially outrageous to some and interesting and innovative to others. The reality is that the world we live in and the financial services and banking sectors will need to embrace and also evolve to accept that change is inevitable. Our island’s flexible legislative and regulatory system has played a crucial part in attracting a number of international operators, leading such companies to relocate to Malta. This has resulted in a noticeable increase in business which is being managed by both existing operators and those looking to begin operating on our island. Some companies have also considered their Brexit options while looking at Malta’s position in terms of being well regulated, an English-speaking workforce and of course having an excellent geographical location. On the other hand, attracting the best talent is of utmost importance and retaining such talent is becoming a top priority. Despite the importance of new technology, people skills remain equally important; whether it’s providing day-to-day services or managing data analytics, it’s all about people. At different career stages priorities vary and while flexibility, salary and other factors are of important consideration, a clear element of motivation in early careers is the learning and development one can have access to. Financial institutions will continue to be key organisations and if they are to drive industry-leading initiatives globally and introduce more local ideas, they must employ the best. If talent is to thrive within financial institutions in an ever-progressing technological world, it is crucial for organisations to prioritise the hiring process. It is essential for existing and newly set up financial companies to have a strong value proposition as opposed to its competitors and other industries. A consistent message needs to be delivered to candidates throughout the hiring process on the actual job and organisation itself with the ability to highlight the positive factor and future potential of the respective opportunity and company together with the candidates’ position for their respective future. Effective talent management is critical to secure business success. It has a significant impact as it flows to the organisations’ bottom line through reduced cost, more efficient allocation of resources and increased employee engagement. Balancing different priorities and developing the diverse, digitally-savvy and relationship-driven workforce needed to compete in today’s fast-changing marketplace requires a new mindset from our business owners as much as a new skillset. Malta is investing heavily in its financial sector workforce hence guaranteeing a pipeline of talent for both existing and new companies setting up. From our very own in-house talent to experienced international finance professionals, Malta today offers a diverse talent pool. Maltese students continue their studies towards tertiary education, with law, accountancy and management being among the most popular courses offered. Malta has also introduced an easier process of attracting foreign talent such as offering a flat tax rate of 15 per cent for highly qualified foreign professionals, as well as a fast-track visa approval service for non-EU nationals filling key positions in financial companies. The Maltese government continues to evaluate and update relevant legislation and regulations, keeping abreast of developments within the industry with a view to preserving Malta’s competitiveness in this sector. Digital finance and blockchain technologies will continue to evolve and will contribute to making our financial services centre’s future stronger. Sarah Miceli is a team leader heading recruitment on the financial services desk at VacancyCentre.